OWATONNA, Minn., May 12, 2016 – Southern Minnesota Initiative Foundation (SMIF), in partnership with the Corporation for National and Community Service (CNCS), is seeking an individual to join SMIF's Prosperity Initiative team, a brand new program aimed at strengthening minority-owned businesses in southern Minnesota. The AmeriCorps VISTA program is part of SMIF's goal to create economic vitality by ensuring equal access to employment and financial literacy across southern Minnesota. In 2016, with a grant from the MN Department of Employment and Economic Development, SMIF launched its Prosperity Initiative, designed to provide education and business resources to minority business owners. The program will also educate resource providers about the barriers and opportunities these individuals face with the goal of strengthening and coordinating resources available to minority-owned businesses throughout the region. The Prosperity Initiative Program Assistant will design and create executive trainings, foster partnerships, and develop resources to help spur a culture of entrepreneurship for minority and new immigrant populations throughout SMIF’s 20-county service area. SMIF is seeking a candidate who enjoys systems thinking, forming strategic partnerships, database development, and has a strong interest in working with a diversity of populations on a dynamic team. Three other VISTA opportunities are also available in southern Minnesota: Region Nine Development Commission’s Entrepreneur Assistance Program; Habitat for Humanity Steele-Waseca Counties’ Financial Literacy Program; and YWCA Mankato’s Financial Literacy Program. VISTA members engage with nonprofit organizations that focus on creating economic opportunities for diverse populations through employment or financial literacy training. 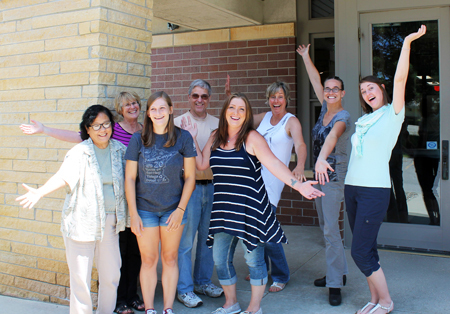 At partner sites, VISTA members help build program capacity, but do not engage in direct service activities. Their activities are designed to create a lasting impact on an organization's ability to serve low-income communities. Additionally, VISTA members cannot be engaged in activities that could be considered replacement for a paid staff. VISTAs serve in 501(c) nonprofit organizations; educational institutions; faith-based organizations; tribal, state, and local government agencies to build organizational capacity for conducting anti-poverty work. 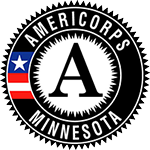 The deadline for AmeriCorps VISTA member applications is June 10, 2016. To learn more and apply, visit SMIF's website: http://smifoundation.org/econ_development/ed_programs/. All VISTA terms are one year, beginning in August and ending in July. Benefits include a $973 monthly stipend, end-of-service benefit ($5,775 tuition reimbursement or $1,500 unrestricted stipend), and health care coverage.